I use Trello to run my professional life, managing all my different projects and keeping me organized so that I never miss a deadline. Trello is very simple on the surface. It’s just a list of lists. You drag cards to other lists to show progress. Everybody immediately understands the simple, visual metaphor. But underneath, there are all kinds of useful features for example, Trello is packed full of keyboard shortcuts. They let you do everything on a card, from archiving and moving, to changing members and labels, with a quick click of a key. 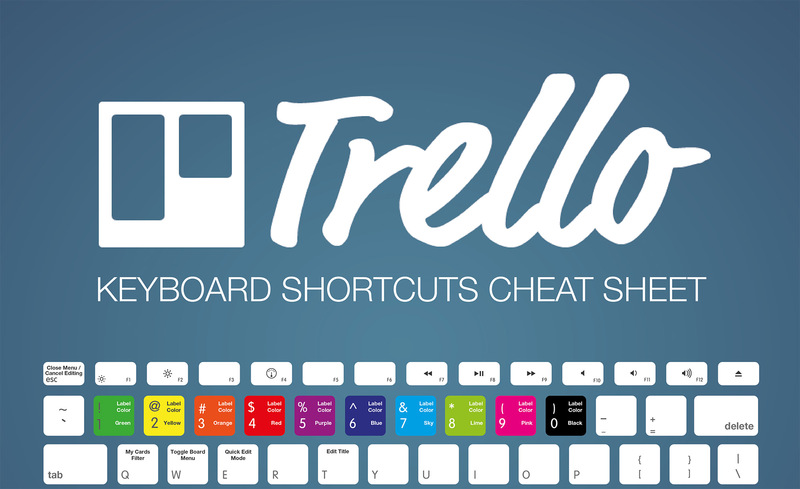 Did you know you can press “?” at any time to bring up the Trello shortcuts page. (A shortcut for shortcuts? Mind blown.) Well I want to highlight a few of my favorites, though. My personal favorite is the “b” shortcut which opens the boards menu and lets you search for boards instantly. Press “b”, type the first few letters of the board you’re looking for, press enter, and you’re there. It’s the fastest way to switch boards. Another favorite is “f” which opens the card filter while on a board. You can instantly start searching for cards by title. The filter will also suggest members and labels. Press enter to see cards assigned to people. Press “x” to clear a filter.